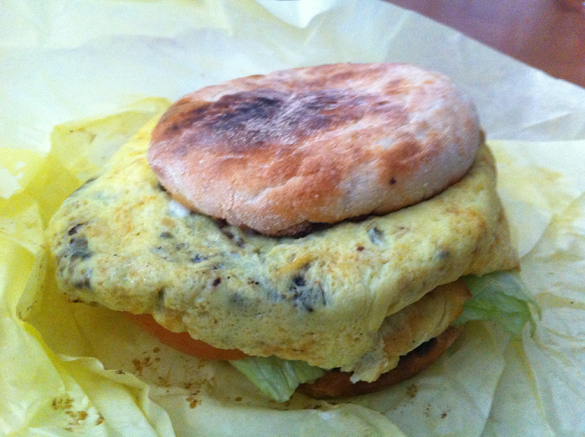 This entry was posted in General Sandwich Discussion, Sandwich Reviews and tagged Egg, Los Angeles, Reviews by Bill, Sandwiches I Have Eaten, Sandwiches Made For Me by bengrimm. Bookmark the permalink. Aside from the mayonnaise, I would eat 10 of those sandwiches. WANT.